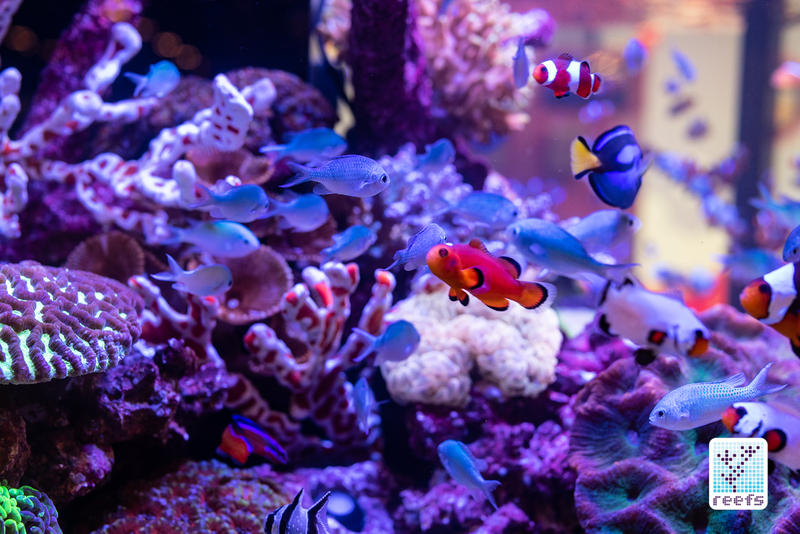 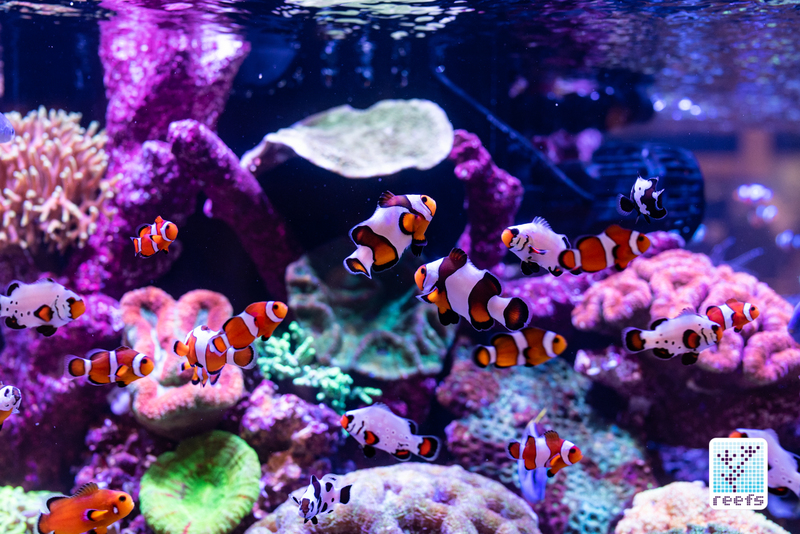 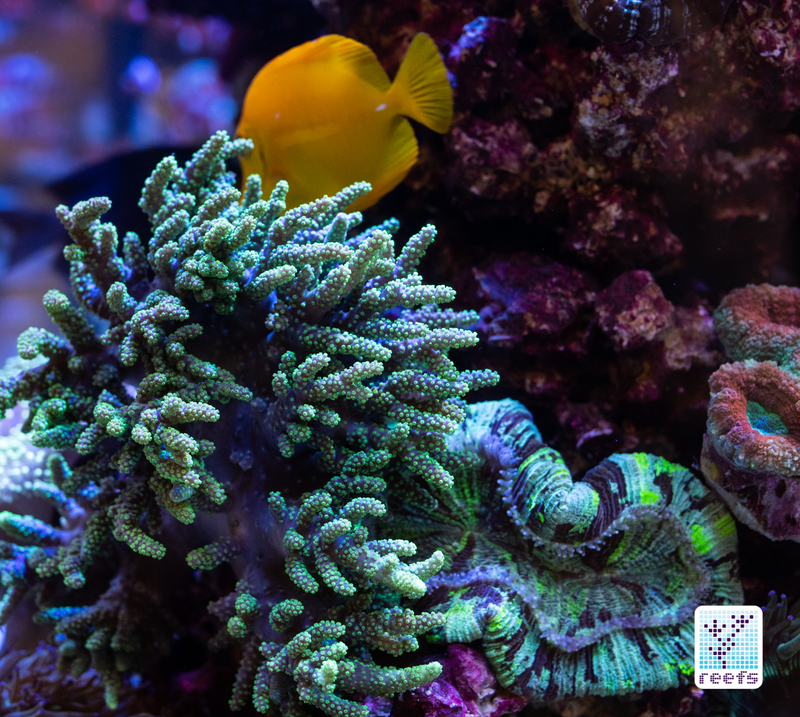 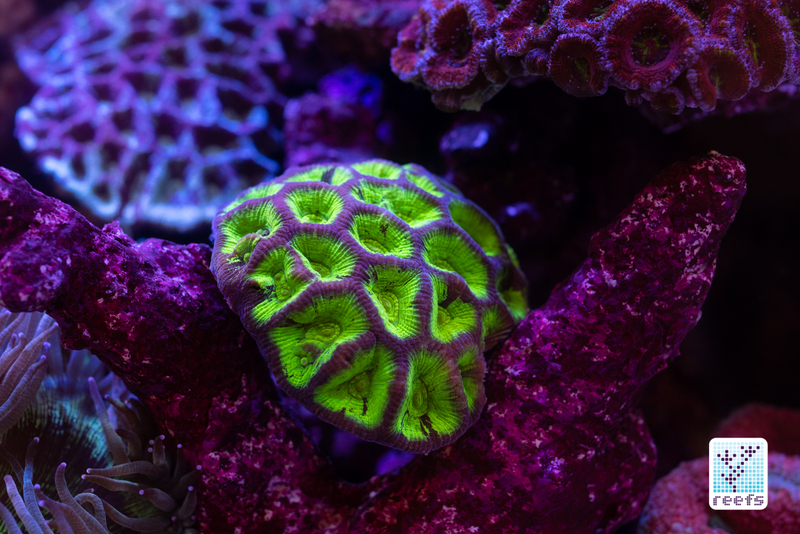 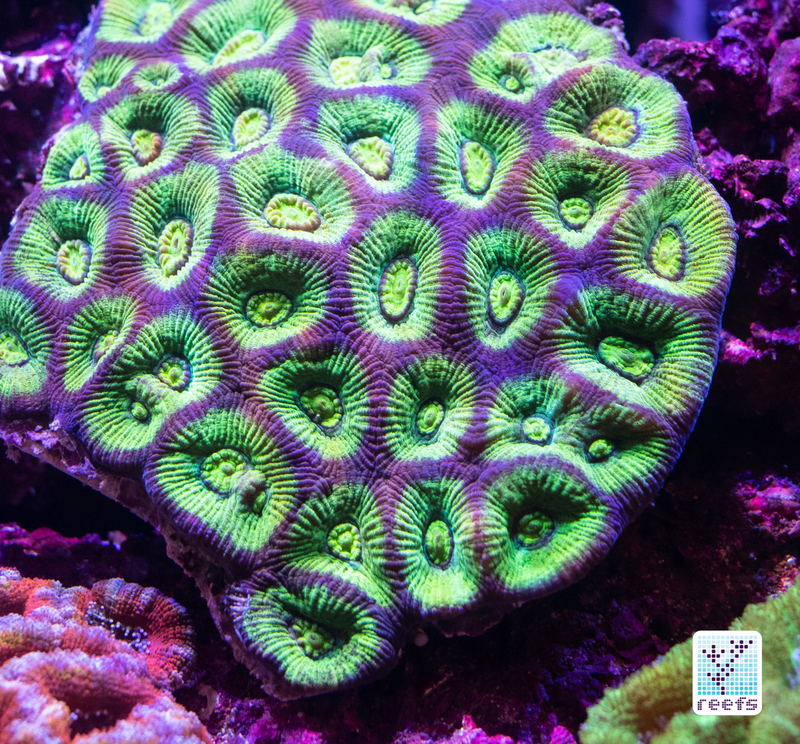 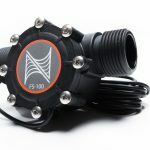 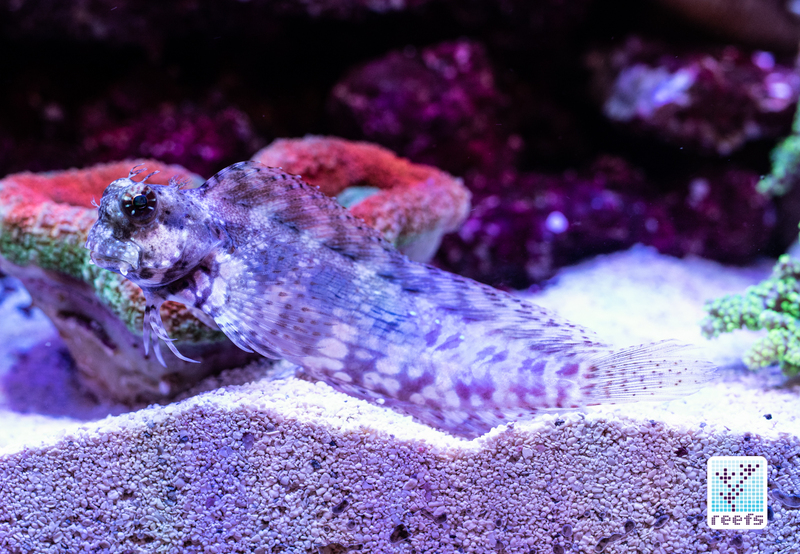 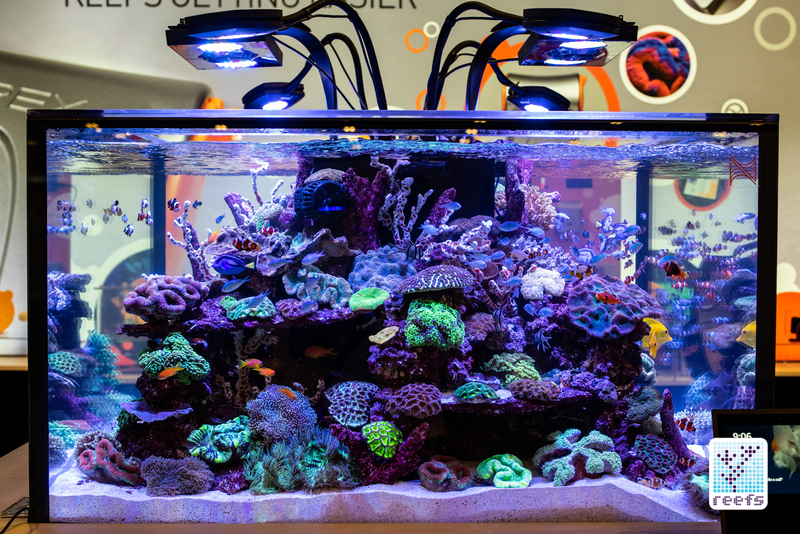 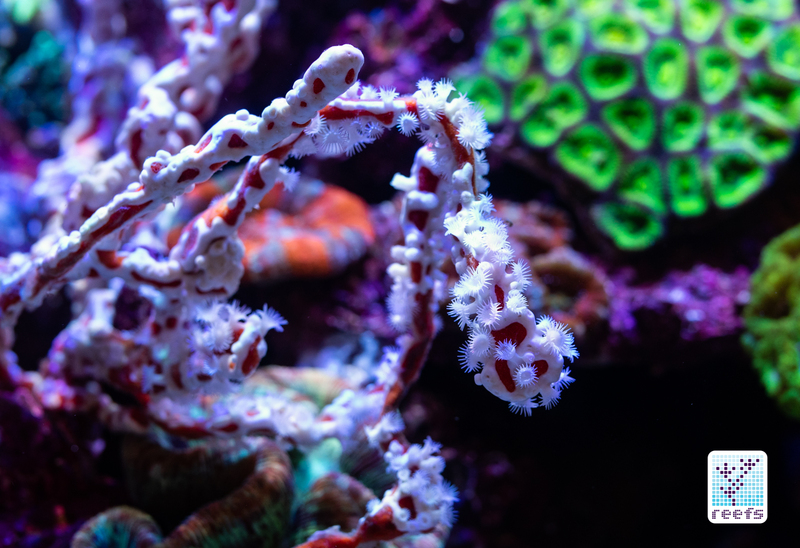 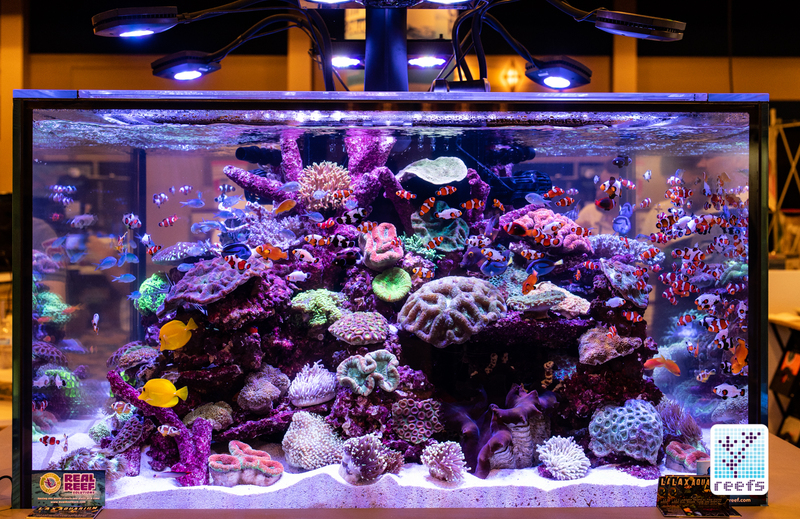 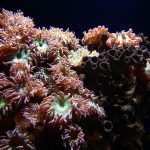 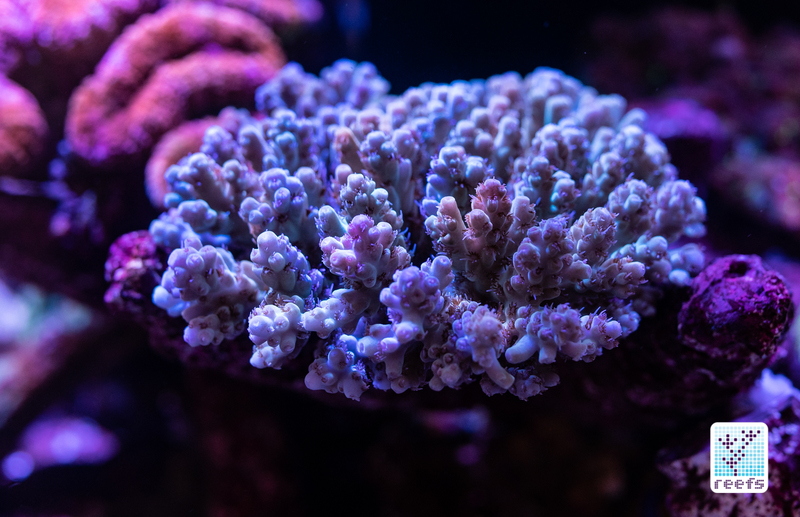 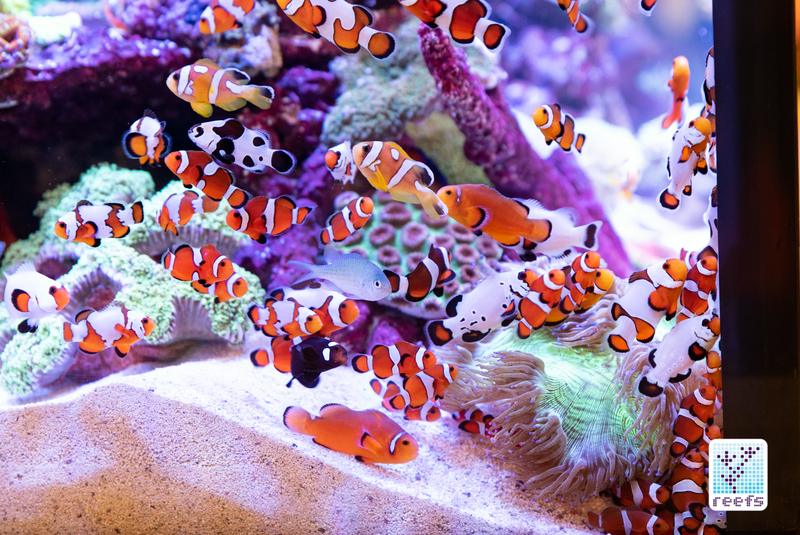 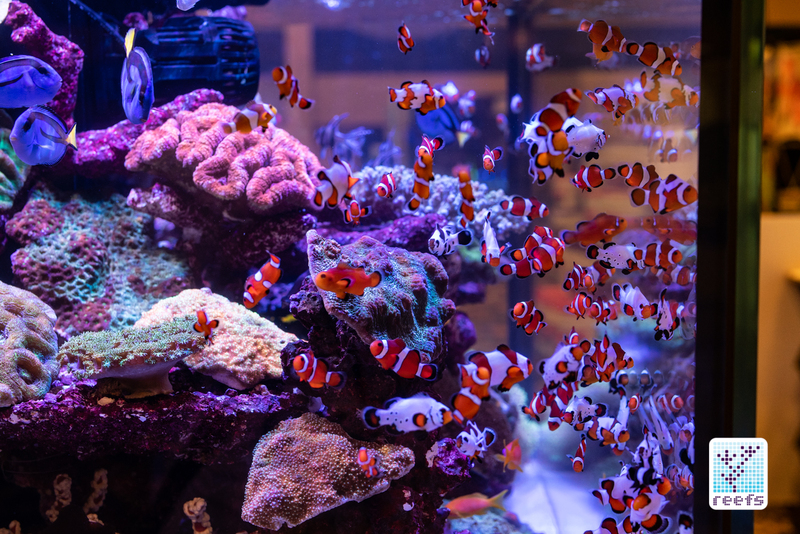 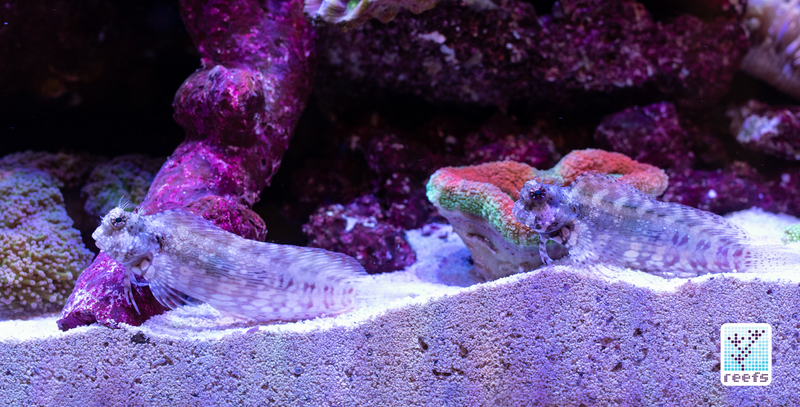 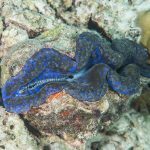 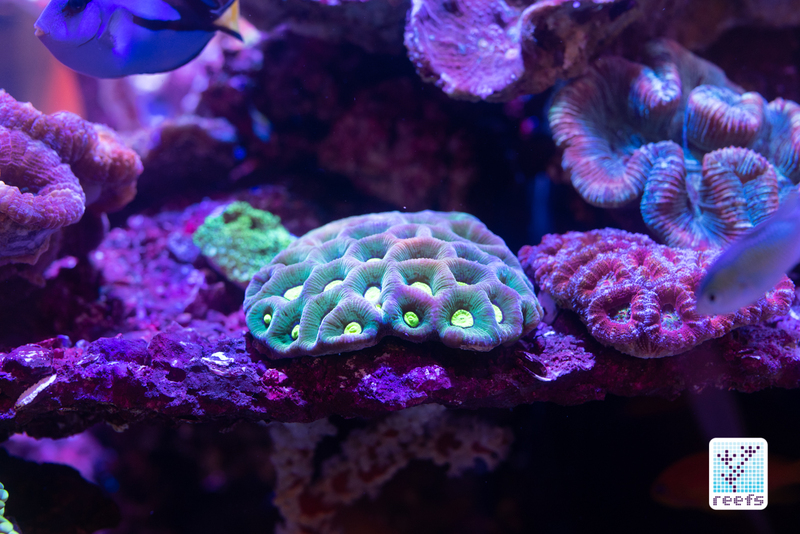 At every MACNA I have attended, I have found at least a couple of jaw-dropping aquarium displays showcasing new products, but there’s always that one among them that truly stands out. 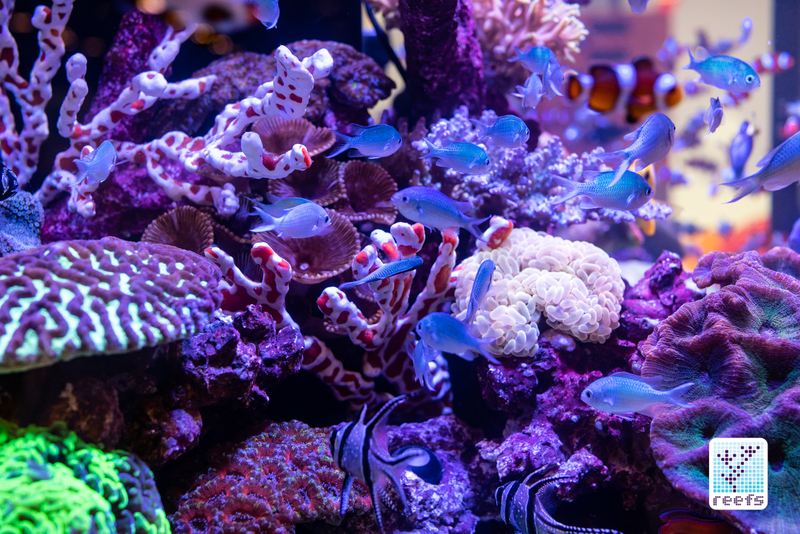 Most of the head-turner aquariums have some distinguished element to them that really shines-be it a masterfully executed tank, a beautiful aquascape, great lighting, or a rare species of fish or coral featured in the reef. 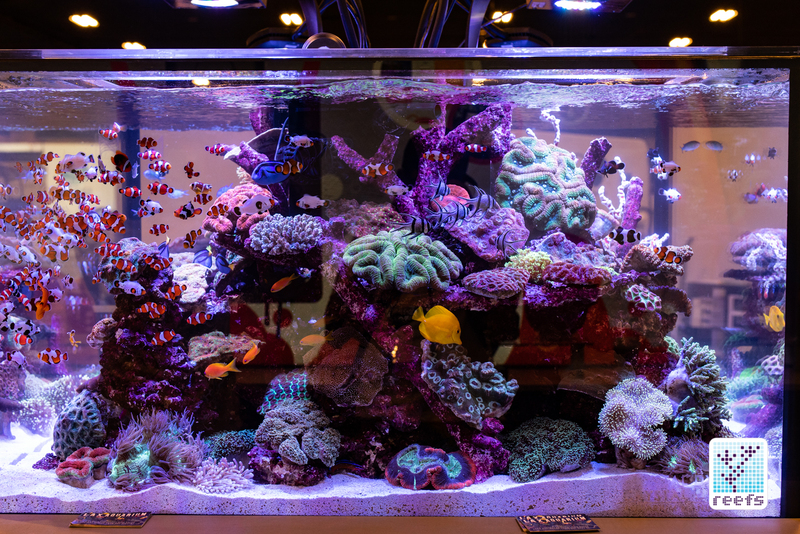 However, to be called the best tank of the show, an aquarium system needs to combine all those elements into a harmonious “dance” of natural beauty and aesthetics. 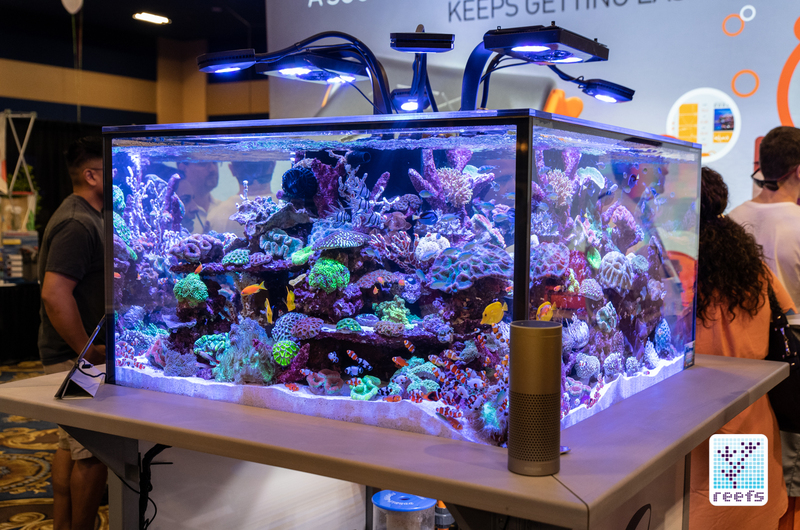 For MACNA 2018 in Las Vegas, this title indisputably belongs to the display aquarium installed at Neptune Systems booth. 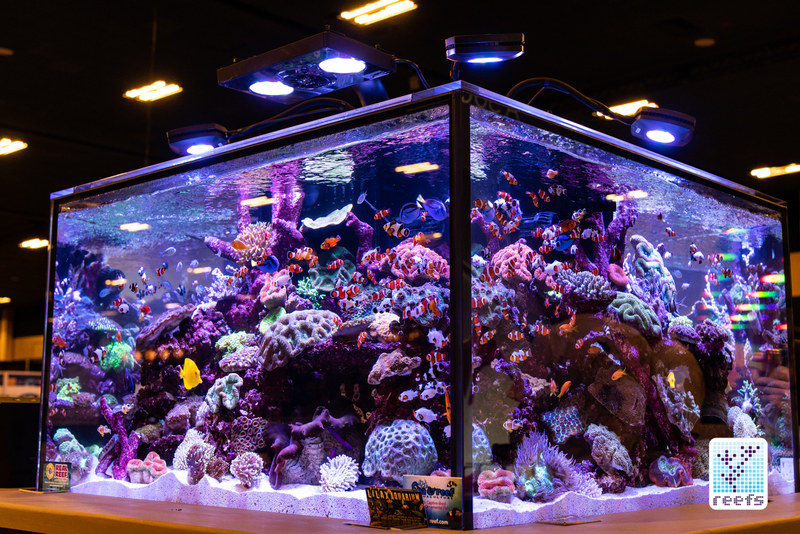 This marvelously designed and built system is a collaboration between Neptune Systems, which provided the blueprints for the tank, set it up, and hooked up numerous pieces of equipment they manufacture to run the system during MACNA, and few other companies that helped in making this aquarium a reality. 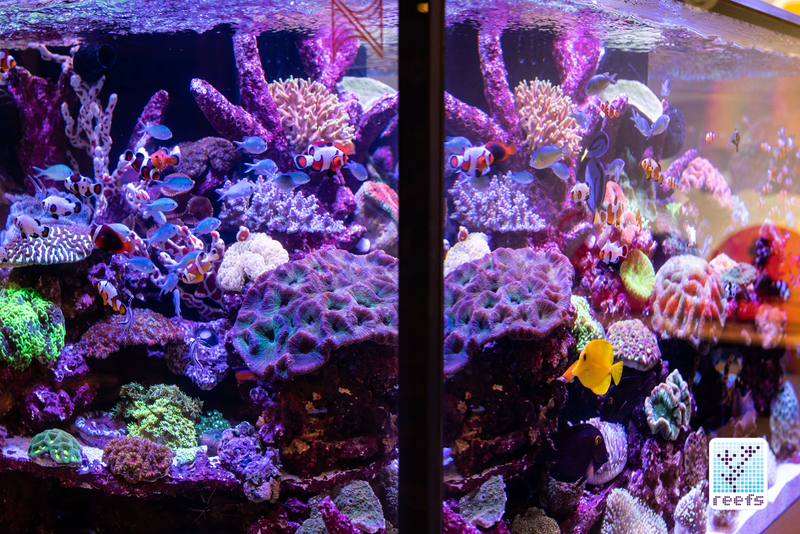 The tank was built to Neptune Systems’ specifications by Crystal Dynamic Aquariums. 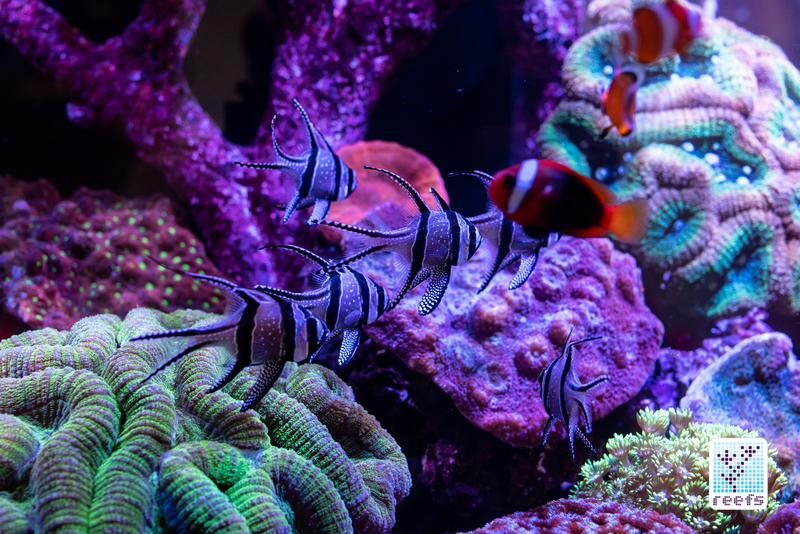 It’s a peninsula type rimless aquarium made out of 1” low iron glass, with beautifully done black silicon seams, a centrally located 4-way overflow, and glass top bracing for structural integrity. 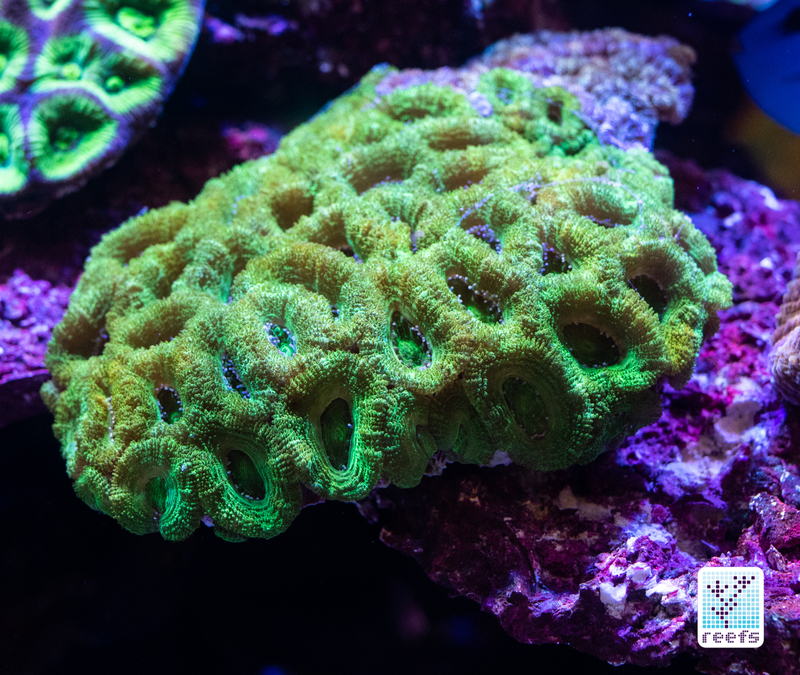 It has a footprint of 42” x 42” and is 24” high, approximately 180g in volume. 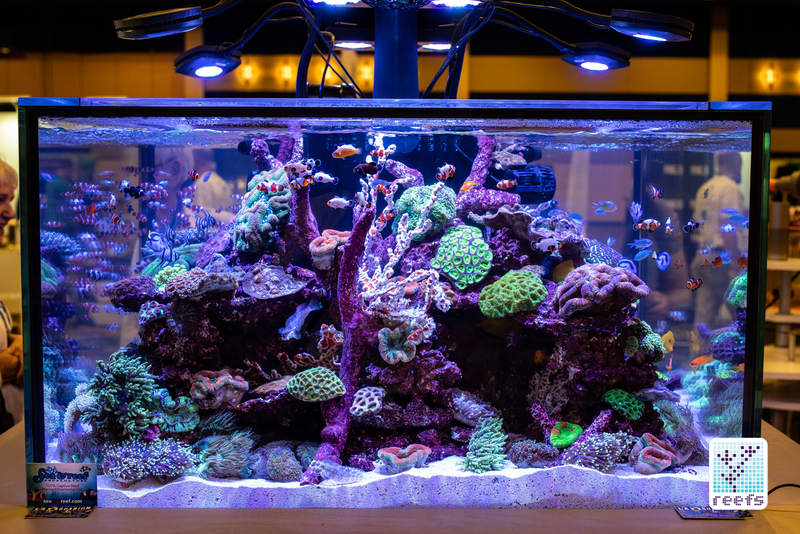 The overflow box doubles as a base for mounting lights -a total of 6 of them, arranged in what can only be called an octopus fashion (just look at the pictures). 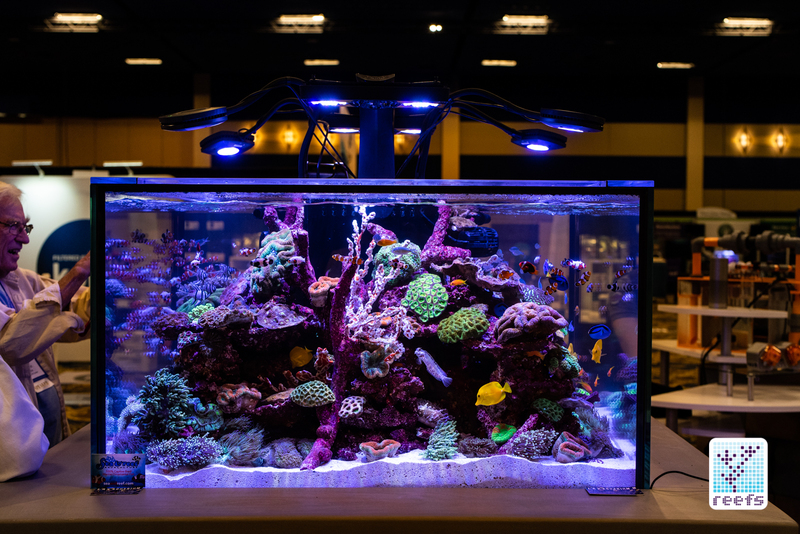 Two Ecotech Radion xr30w LED panels opposing each other and surrounded by Aquaillumination Prime lights are featured for the fact that both these products can be fully controlled remotely via Neptune Systems Apex infrastructure. 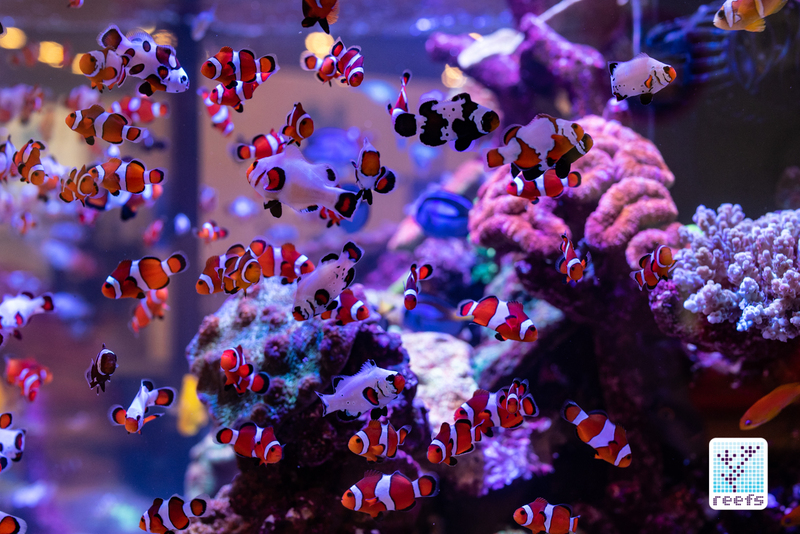 Worth noting is that Ai Prime are fully controlled using Neptune’s brand new interface based on IoT (Internet of Things) methodology, which Neptune Systems nicknamed IoTA (IoT: Aquarium). 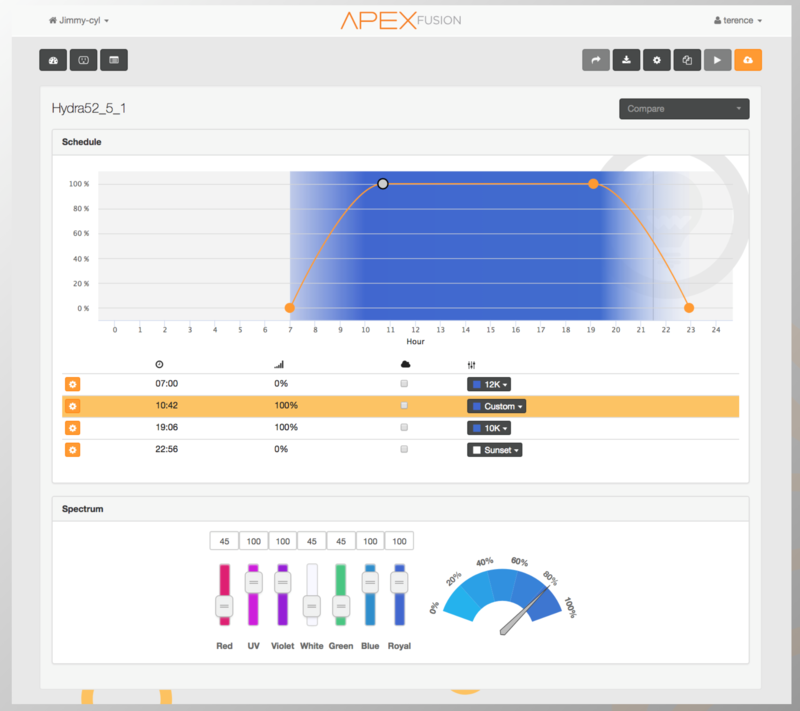 This means that both Prime and Hydra lights from Ai can be incorporated into Apex Fusion without any additional module. 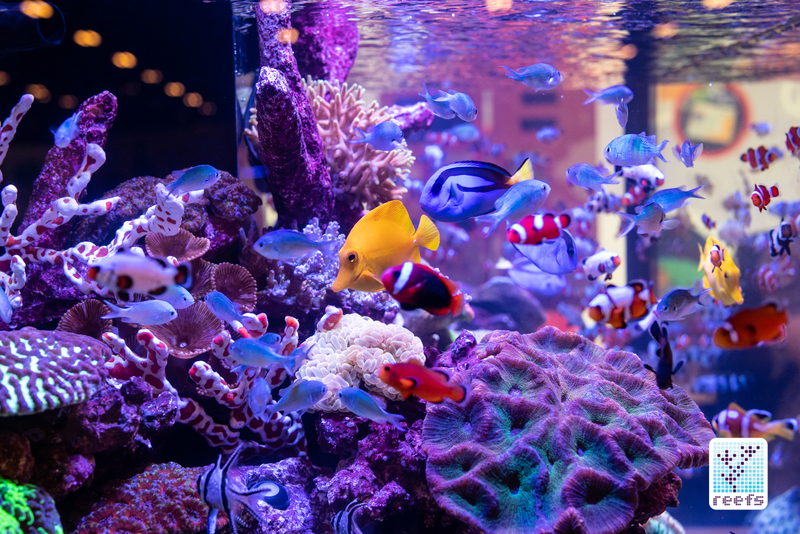 IoTA represents the future of Neptune Systems latest controllers’ remote control ability, following a general idea of “connected aquarium”, where various devices use a standardized protocol for remote access. 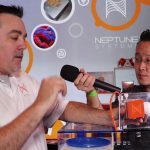 We can expect more devices, not only from Neptune Systems but from the company’s expanding list of partners, to adopt this protocol in their future projects. 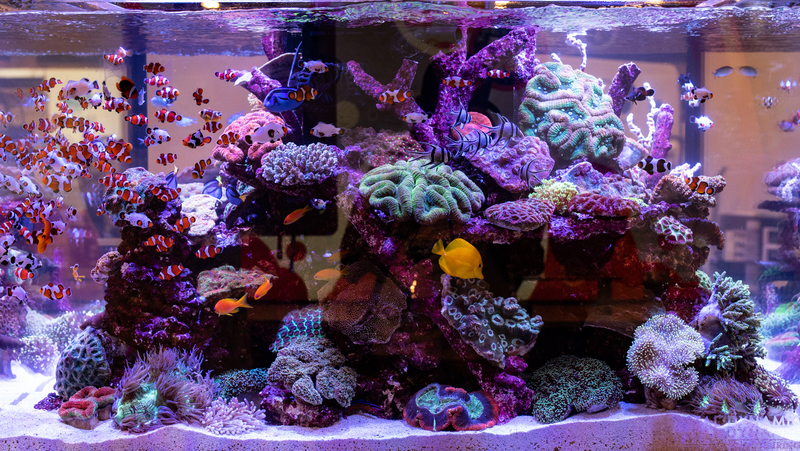 The beautiful aquascape, featuring artificial rock made by RealReef, corals and some fish provided by the team from LAX Aquarium (who did the aquascaping), and over 150 captive bred clownfish, courtesy of Sea & Reef, was completed in just a couple of hours the day before MACNA doors opened. 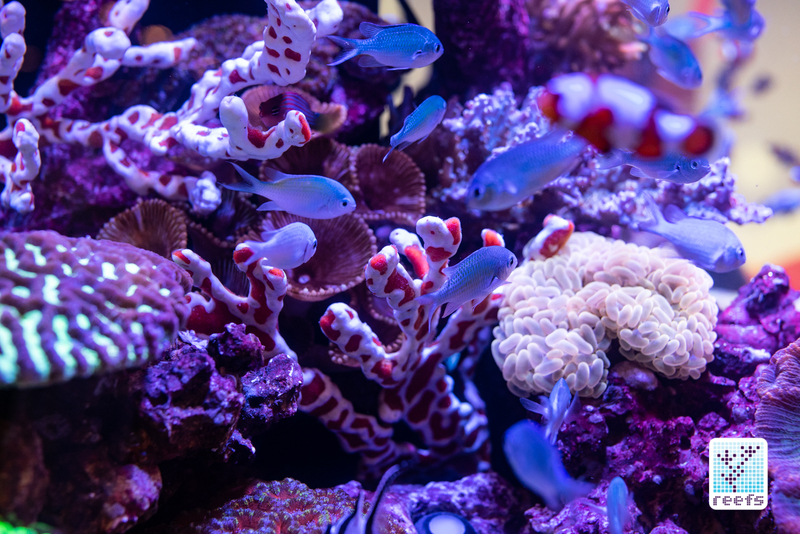 What more can I write, except that it was an impressive aquarium display and as much as I tried, pictures don’t do this tank justice. 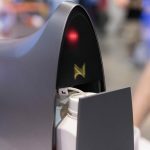 Enjoy the gallery below and be ready for more of my MACNA coverage coming your way!